I don’t know about you guys, but I’m a baby in the cold. Even having lived somewhere that has a cold, snowy winter my entire life, I still can’t handle it. And I’m actually dreeeeeading another Northeast winter. 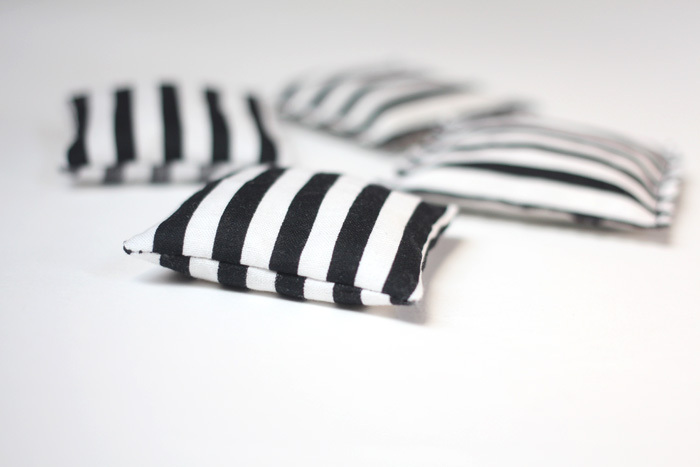 So I made up a few batches of these little teeny hand warmers to try and combat the chill. I keep them right next to my keys, so I remember to heat them up quick before I leave. That way I don’t have numb fingers on my walk to Starbucks the grocery store. Oh who am I kidding, I’m going to Starbucks. Here’s how I did it…..
1. 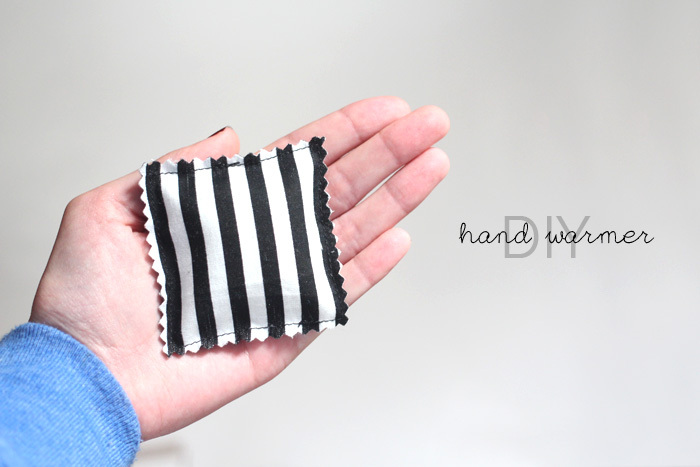 For a set of hand warmers, cut 4 3x3” pieces of cotton fabric. 2. Place two of your squares wrong sides together, and sew 1/4” from the edge. Pivot at the corners, and leave about 1/2- 3/4” opening. Don’t forget to backstitch at the beginning and end. 4. 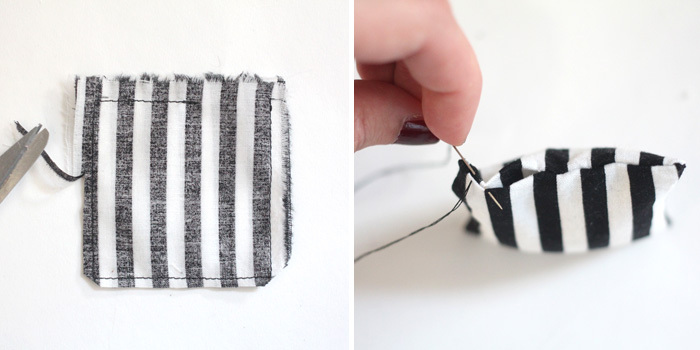 Sew and close up your small opening. 5. Trim along the edges with pinking shears so that they don’t unravel. That’s it! 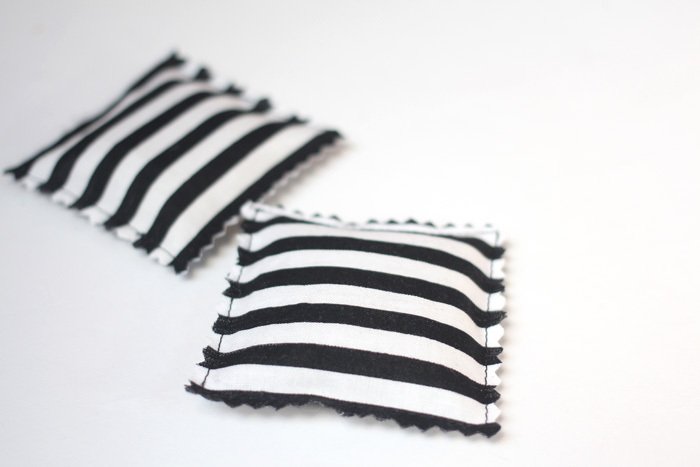 But if you would prefer a cleaner look…..
Start by placing your two square pieces right sides together, and sew just like before (1/4” from the edge, leave 1/2” opening). Clip your corners and trim the seam allowance, and then turn right side out through the opening. 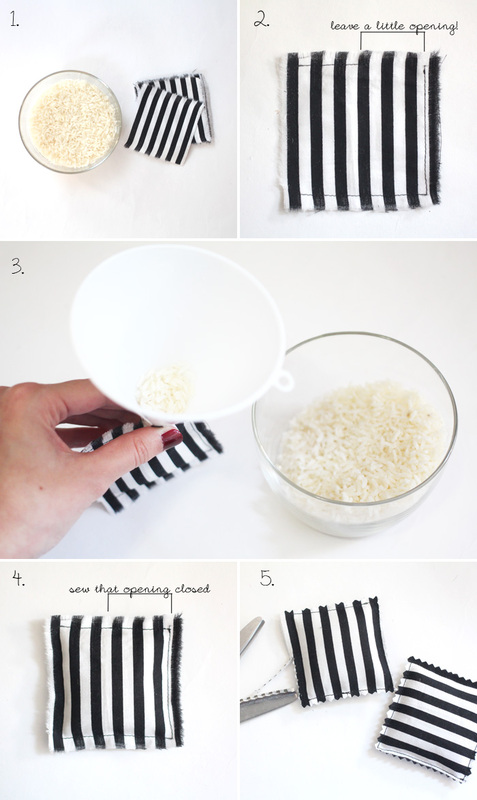 Fill with your rice, and then close your opening with an invisible slipstitch. Just slightly more work, but it does have a simpler, cleaner look! Right before you walk out of the house, just heat them up in the microwave for about 30 seconds and slip them in your coat pocket. Caution! They’ll be really hot! I But I like to get them just a tad too hot so that they stay warm longer.